The topic of cholesterol has become very confusing. Dietary advice on the subject is often so far off that consumers actually hurt their health by trying to avoid cholesterol. The body needs to achieve a balance when it comes to cholesterol consumption. Fat from healthy sources is vital to the body, while fat from poor choices, such as margarine or foods fried in vegetable oil, are very dangerous. Eggs remain a beneficial source of healthy fat. Many nutrients, such as vitamin A, are better absorbed with fat, making eggs a very good source of vitamin A. Research has documented that eggs do not appear to promote heart disease risk. The suggestion that eggs could be linked to cardiovascular disease was predicated on the belief that cholesterol caused the narrowing of arteries. Thus was born the hard limit of daily cholesterol intake. However, many experts have come to question this link. A 2009 report published in the British Nutrition Foundation's Nutrition Bulletin found that eggs have an insignificant effect on blood cholesterol. Athletes and bodybuilders tend to eat more eggs than the recommendations and yet have healthy hearts. Cholesterol consumed in the diet contributes about a third of the cholesterol found in the blood; other factors such as smoking and weight gain have been shown to have more impact. Many dietitians now believe that a healthy level of lipids in the bloodstream is enough to maintain proper cardiovascular health. Saturated fat may actually be a larger contributor than eggs to cholesterol levels. A single egg contains a gram or two of saturated fat, so eggs are fine in moderate amounts, but you should avoid eating too many eggs because of possible consequences to the cardiovascular system. Generally this is not a problem. You would have to eat more than 10 eggs a day to consume too much saturated fat. However, you may want to monitor your egg consumption if you are also eating bacon, red meat, butter and other foods high in saturated fat. You may have heard that eating eggs will make you fat because 60 percent of the calories in eggs come from fat. However, eating fat doesn’t make you fat and eggs are a calorie-controlled food designed to maximize weight loss, not prevent it. One egg is only about 70 calories, with a great balance of 6 grams of protein and 5 grams of fat. The protein/fat combination of increases satiety hormones -- the ones that tell your brain you are full. The protein in eggs also causes your body to release the hormone glucagon, which encourages your body to release and use stored carbohydrates and fat. To prove the point, compare eggs to rice cakes—a timeless “diet” food. Two rice cakes also contain 70 calories, but with no protein or fat. Those calories come from 14 grams of high glycemic, fat-cell stuffing, refined carbohydrates, which makes it a much less desirable choice. Reducing blood cholesterol levels has been a major public health mission for decades. It would make complete sense that if you wanted to decrease the amount of cholesterol in your bloodstream then you should reduce the amount of cholesterol you are eating. That’s why eggs have typically been touted as dangerous, as they contain approximately 200 mg per serving. The problem: Dietary cholesterol doesn’t actually raise cholesterol as much as you might think. In fact, only 30 percent of people experience significant increases in cholesterol levels after following a diet high in cholesterol. Researchers from Harvard looked at the dietary habits of more than 100,000 people and concluded that daily egg consumption in healthy individuals didn’t increase risk of coronary heart disease. What’s more, a study from the University of Connecticut found that eating three eggs per day as part of a low carbohydrate regimen improved HDL -- the "good" cholesterol -- without any negative health effects. 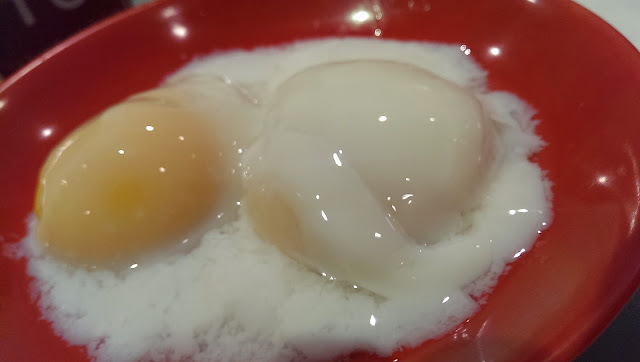 The "egg white only" movement was created out of the mass movement to remove as much cholesterol and fat from the American diet to fight heart disease and obesity. An egg white contains all protein -- 3.5 grams per egg; the rest of the nutrients, protein and fat are hiding in the yolk, which means the yellow is the most nutritious part. Egg yolks contain 240mg of leucine, the amino acid single-handedly responsible for flipping your genetic muscle-building switch . I started 9 months ago to get serious about my health, fat levels and vanity. 1. Health – my health reports have always been glowing, with a few spots of high levels of AST/ALT GT in my liver readings. Due to those, my insurer refuses to cover liver related illnesses. For one year, 2012, I’ve stopped drinking anything alcoholic, but to no avail. Finally this year I started on a regiment of weight training. And coming from a background of good cholesterol levels, I am able to pop 4~6 eggs daily. By June, my liver readings were normal and what is even more amazing is that my cholesterol readings actually become even better than the previously already good readings. 2. Fat levels – this is also another area I’m working hard on. My visceral fats read in at 11. After 6 months, it has dropped to 10. And my body fat from 25% to the now 22%. 3. Vanity – of course now I’m able to fit my old clothes, and my shirt sizes dropped from M to S. And not to mention the disappearing tummy. Looking forward to breaking the above numbers again. But in any case, please consult your doctor before you embark in any kind of diet such as this if you are not sure, especially if you already have pre-exisiting heart conditions or other health issues. 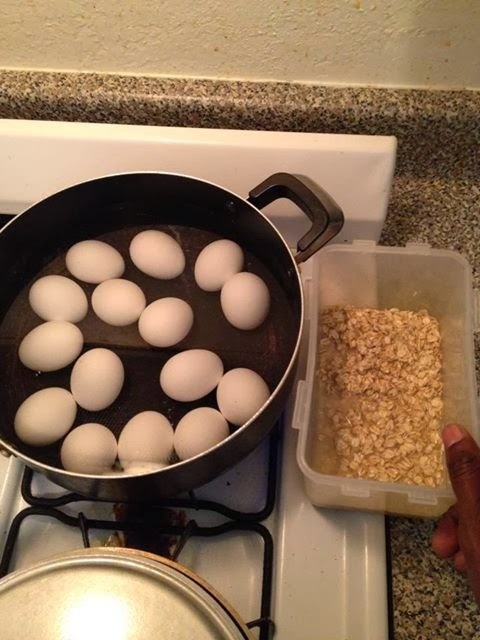 Below is what he eats for breakfast, 15 eggs and organic oatmeal I believe... phew!